Bar Angolo Pizzeria joined our Mission to help provide access to “Clean Water for All by 2030”. This Mission was initiated by the United Nations. A big thank you to Bar Angolo Pizzeria’s team and customers for joining this extremely important mission on 20 November 2017. 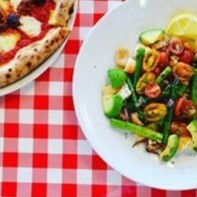 Bar Angolo Pizzeria is an authentic Italian restaurant located in La Strada at Top Ryde City Shopping Centre. We cater for a variety of taste buds with our Italian Pizza, Italian Pasta and our range of scrumptious meat & chicken dishes and mouth watering dessert in Top Ryde.